Graveyard Mall out of Business? How to get YOUR money back! For several years, I have been ordering from Graveyard Mall and never had any issues. The sunglasses and the socks were two of my favorite deals. Shipping has always taken awhile with them, but I have always received my items, so I really hadn’t thought much about the delay in shipping my items. After about six weeks, I finally started to get worried. I checked my account and contact customer service. They assured me that everything was fine and that they were just backed up due to all the orders that had been placed. When I first saw this message, I wasn’t overly concerned. I get up really early to blog and many sites are undergoing maintenance during that time. But…when the same message appeared all day for a few days, I got worried. I tried contacting customer service by phone and e-mail with no luck. It appears that Graveyard Mall is out of business. If you had orders pending, and you’re wondering how to get your money back, you can contact Paypal or your credit card company and file a dispute for items not received. I want you to know that I personally check out every offer I post and typically do not post offers that I would not take advantage of myself. In this case, I had three orders for sunglasses pending! I’m very sad that it has come to this because I loved getting my big box of sunglasses every year! 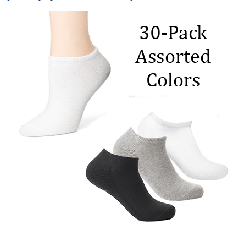 30 pairs of women’s socks for $11.99! If the sock monster makes frequent visits to your house, I’ve got a DEAL for you! 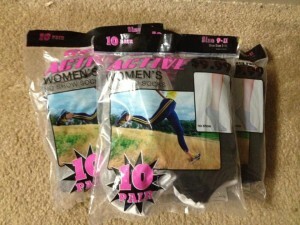 While supplies last, Graveyard Mall has 30 pairs of women’s athletic socks for just $11.99! You can hold off the sock monster for awhile with these! These would also be a great donation item! NOTE: Shipping and handling fees do apply and range from $2.99-$4.99 on average. If your kids are like mine, you go through MANY pairs of sunglasses during the summer months! Graveyard Mall has an awesome deal on kids sunglasses today! 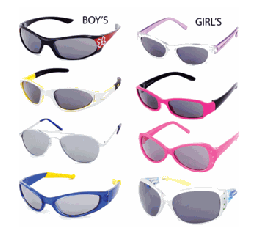 You can get 6 pairs of kids sunglasses for just $10.98 shipped! That’s just $1.83 per pair! They’ve got popular Disney characters like Toy Story, Tigger and Pooh, Cinderella, Barbie, and Dora! You can also score this deal for yourself! You can get 9 pairs of women’s branded sunglasses for just $16.98 shipped! That’s $1.88 per pair! In Texas, sunglasses are a must have, but between my kids getting ahold of my sunglasses and breaking them and being absent-minded, I find that I’m constantly needing new ones! I have taken advantage of this deal the last two years. This deal always sells out quickly, so hurry and grab it while you can! 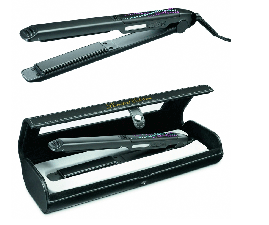 Conair Limited Edition Swarovsky Crystal Infiniti Pro Tourmaline Ceramic Straightener only $19.99! If you need a new hair straightener, get this Conair Limited Edition Swarovsky Crystal Infiniti Pro Tourmaline Ceramic Straightener for just $19.99 (regularly $79.99). The infiniti by conair professional 1 inch tourmaline ceramic straightener features powerful ceramic technology. this technology provides even heat distribution and uniform temperature levels. it features salon-style ultra-high heat levels reaching up to 446°f/230°c for professional styling. get your styling going quickly and efficiently with the featured 30-second heat up time that provides even heat in no time. and to keep you your hair safe it has an extra-long power cord and an auto-off feature that shuts your device down if left on. you can create professional-looking hairstyles with this powerful and safe straightener. This limited edition model features Swarovsky Crystals. 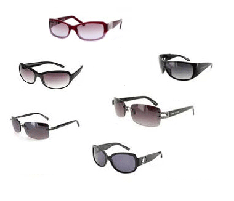 Graveyard Mall: 9 pairs of women’s sunglasses for $12.99 shipped! One of my FAVORITE offers is back on Graveyard Mall today! 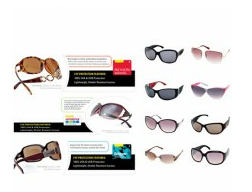 You can get 9 pairs of women’s branded sunglasses for just $12.99 shipped! In Texas, sunglasses are a must have, but between my kids getting ahold of my sunglasses and breaking them and being absent-minded, I find that I’m constantly needing new ones! I took advantage of this deal last summer, and I did a similar deal a few weeks ago! This deal always sells out quickly, so hurry and grab it while you can! You can also get 6 pairs of Women’s Premium Branded Sunglasses for just $24.99 shipped! These include brands such as Jones New York and Nine West.